Goodbye and thanks for reading! This blog is no longer being updated. For up to date information, please see the Library web page, especially the news section, and also the Life Sciences subject page. Please see the attached list for new books recently received at the Silwood Library. Just click on the book title to go straight to the library catalogue record to see if the item is on the shelves; if it isn’t, you can reserve the item. Please do let Elizabeth know if you have any suggestions for titles to be purchased for the library. Please see the attached list of new books recently received at the Central Library. Please let Elizabeth know if you have any suggestions for titles to be purchased for the Library. Twitter is a microblogging service that asks you to tell the world what you are doing in 140 characters or less, and can be used to build up a network of like-minded people. By selecting other Twitter users to follow, you can build up contacts across a wide range of interests. 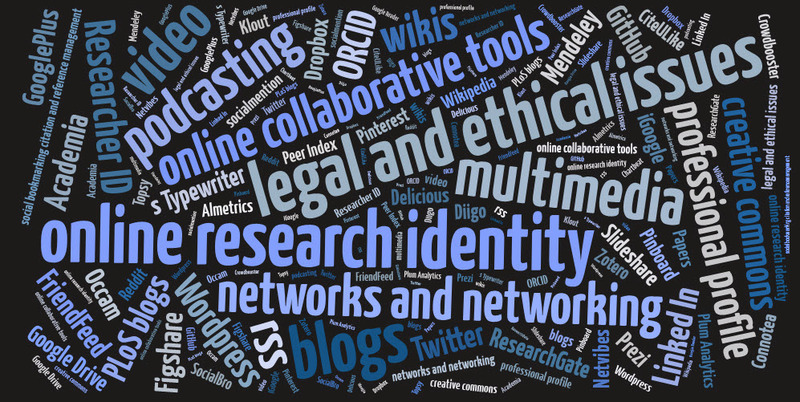 Many in the academic and research communities use Twitter for professional communication of their research, pointing followers to notable items such as papers, articles, news stories, and blog posts, as well as links to other resources, photos and other media. This session, run by Andrew Day (Library Education and Research Support team) and Jenny Evans (Library Faculty Support team) is aimed at PhD students, post-doctoral researchers, academic staff and postgraduate taught course students who have had little or no experience of using Twitter. If you have any questions please email Jenny Evans. If you would like to attend please email Andrew Day to book your place. The Library is running our web 2.0 for researchers programme in June 2013, aimed both at PhD students and postdoctoral researchers. The workshop will take place on Friday 7 June and the online modules will need to be completed by the end of June. It is expected that approximately 4 hours will be needed to complete the programme. Along side the programme we will be running a Twitter for Researchers and a Mendeley for Researchers workshop. We will also be introducing a new workshop – An introduction to writing for Wikipedia. These will all take place in June. We will post details on this blog (and on the library website) when they are confirmed.